Dubrovnik is simply unique; its beauty is bewitching, its setting sublime. Not that it’s a secret – quite the opposite. Thousands of visitors walk along its marble streets every day of the year, gazing, gasping and happily snapping away. 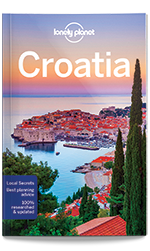 Coverage includes: Dubrovnik & Around, Cavtat, Konavle, Elafiti Islands, Mljet Island, Mljet National Park, Okuklje, Saplunara, Pelješac Peninsula, Ston & Mali Ston, Orebić, Viganj, Korčula Island, Korčula Town, Lumbarda and Lastovo Island.